This official history of Australia’s national standards body illustrates how the principle and practices of standardisation underpin the development of an efficient and co-ordinated economy and society at home, as well as smooth international trading relations. As organs of civil society, standards bodies illustrate the essential input voluntary civic activism makes – free-market zealotry notwithstanding – to the development of a civilised society. As a principle applied to human production, starting with building materials, standardisation has a millennia-long history. It gained greater importance for manufacturing and infrastructural development in the industrial age, including the expansion of trade. Finally it reached consumer protection and the development of better organisational systems. Today, as states are retreating from formal regulation, standards (together with their authors and auditors) have achieved prominence in the ‘soft regulation’ that facilitates global trade and co-ordination. 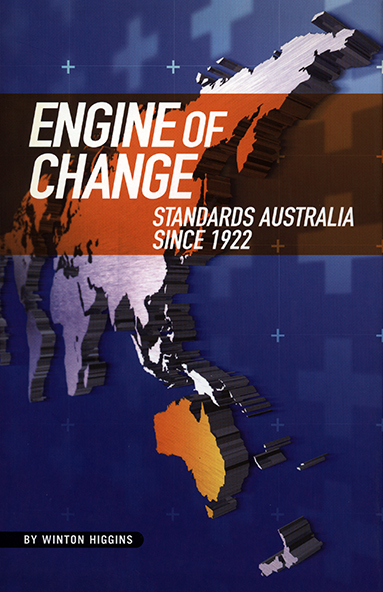 The history of Standards Australia – a key player in international standardisation since the 1970s – illustrates how standardisers have contributed to national and international development.